Here in our little country town, we have several really AMAZING restaurants! It helps that we are home to the best Shakespeare Festival in the country, The Utah Shakespeare Festival, which draws hundreds of tourists looking for wonderful food! One of my favorite spots is a local Wood fire pizza restaurant. They serve an amazing Raspberry Salad. Their pizza is outstanding…but that salad is mind-blowing! I wanted to recreate it… and add a few twists of my own. I’m happy to say that it turned out wonderful! Making Candied Pecans is not difficult. You just need to pay attention to the sugar as it is melting and not rush the process. The most important part of this process is TO NOT STIR THE SUGAR! As the sugar begins to heat up, it will begin to melt, and turn a beautiful caramel color. If you ignore me…you will end up with a big ol’ glop of goo! DON’T STIR THE SUGAR! Watch it very closely. The goal is to have all the sugar dissolve like it has around the edges in photo below. As soon as the majority of the sugar has dissolved and it begins to boil, immediately remove from heat. Please note that I did say “majority” of the sugar has dissolved. If you wait for all of it to melt…it will begin to burn. You’ll notice in the lower right hand corner of photo below that the sugar hasn’t totally dissolved. TIP: Do Not Walk Away from this as it is processing. It can burn quickly! Stir in 1 cup of whole pecans. Stir quickly to coat the pecans evenly. 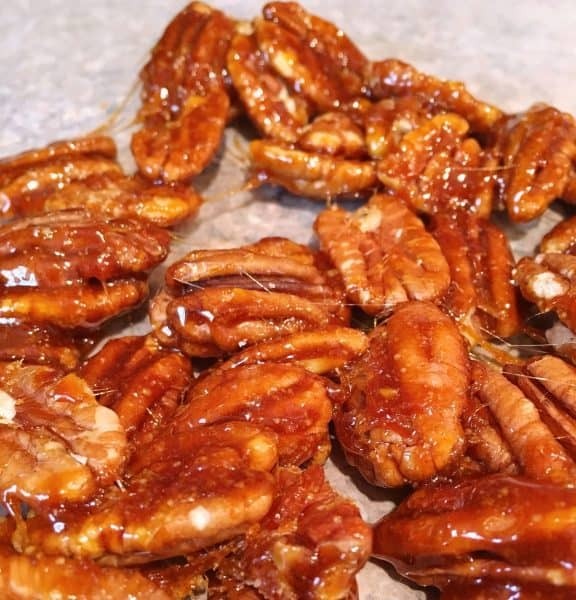 Place pecans on a piece of wax paper that has been coated with non-stick cooking spray. This will prevent the candied pecans from sticking to the wax paper and allow you to remove them quickly and easily. TIP: This will make more candied pecans than you’ll need for this one recipe. I like to store them in air tight containers and use them when making other salads. 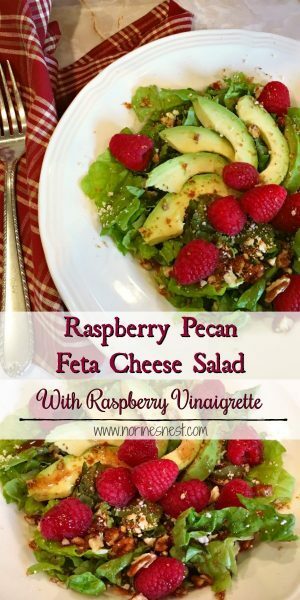 This salad can be made into single serving size, or you can make one big bowl of this salad for a large family gathering. Either way works. Just depends on how you want to present it. Begin by rinsing one head of red leaf lettuce, or by using one package of baby spring mix. 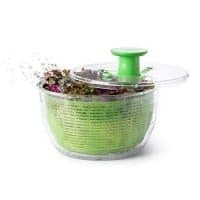 I’ve used both in this salad…and both work beautifully. Add sliced avocado. I like to use about 1/4 of an avocado sliced on individual salads, fanned across the top. Sprinkle with a few more candied nuts. Top with fresh ripe raspberries. I used 1 pint for the family size version of this salad. 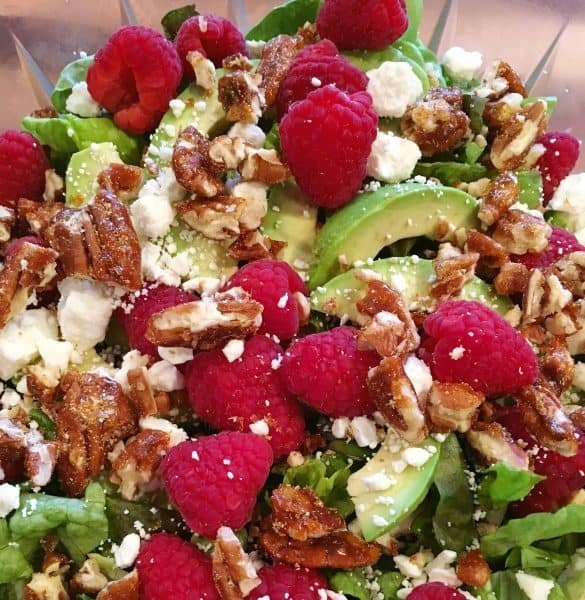 Individual size salads I add about 10 fresh raspberries…unless it’s my personal salad…then I add about 15! In a small bowl, or glass measuring cup, add 1/2 cup extra virgin olive oil, 1/2 cup apple cider vinegar, 1 teaspoon prepared Dijon Mustard, salt and pepper to taste, and 4 Tablespoon Raspberry Syrup. Mix with wire whisk. TIP: I used Kodiak Raspberry Pancake Syrup! You could also use Raspberry Jam. It will just make a thicker dressing. What ever is your favorite raspberry product is going to work. Drizzle vinaigrette all over the top of the salad. The salad alone is amazing…but that vinaigrette is fantastic and pulls everything together to create the perfect salad! A simple and delicious salad that is ready in minutes. 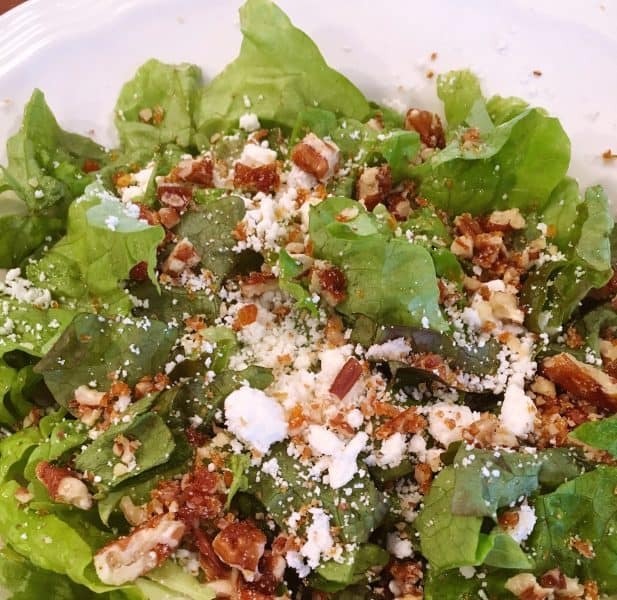 The most difficult part of this salad may be making the candied pecans, and even that isn’t difficult…just takes your full attention. This is a photo of the larger version of this salad that I made for a big family dinner! 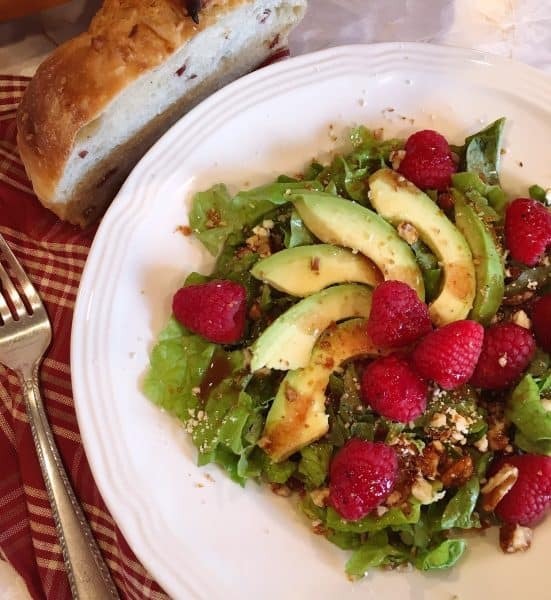 Everyone loved this salad…even the little ones! I know I said it before, but I can’t say it enough…all the elements of this salad combine together perfectly! Such a beautiful, colorful, and tasty beginning to any meal! It would be perfect for a romantic Valentines dinner for two! Just reduce the ingredients, or don’t and eat till you can’t eat any more! You can also add sliced chicken breast to this salad and have it be the main course! It’s scrumptious! If you love this salad…you might also love my Blue Cheese Pear Salad or this yummy Watermelon Summertime Salad. I hope the birds at your Nest love this salad as much as we do! I know you will! 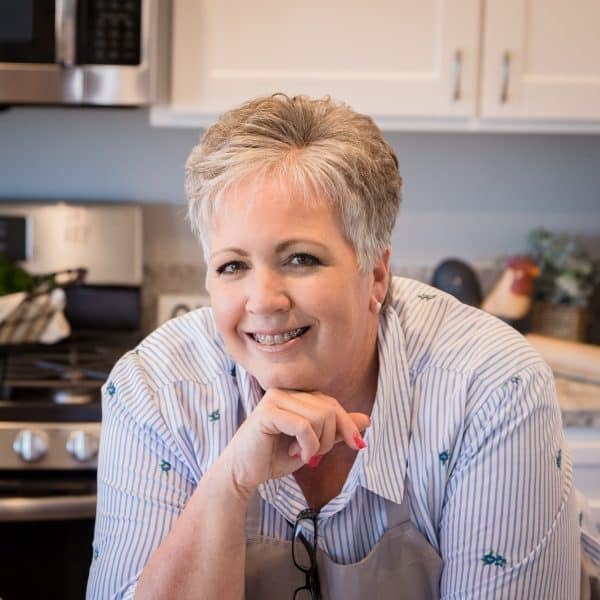 I’d love to have you follow me on Instagram, Pinterest, or my Facebook Page where every week I share all my favorite recipes and share my weekly meal plans! 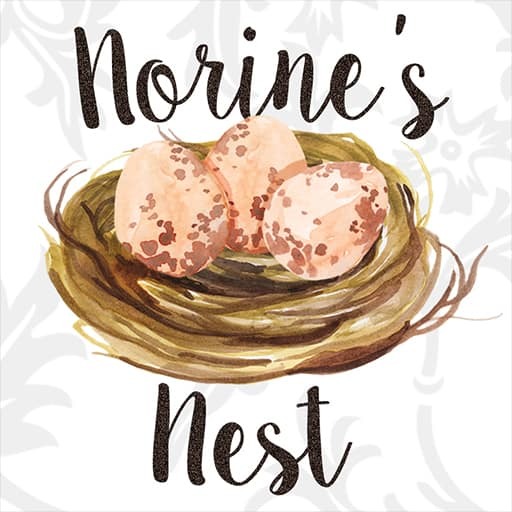 I’m sharing this delicious recipe on my favorite link parties! Click below to join the FUN! 1 head red leaf lettuce, or 1 package baby spring mix, washed and prepared. 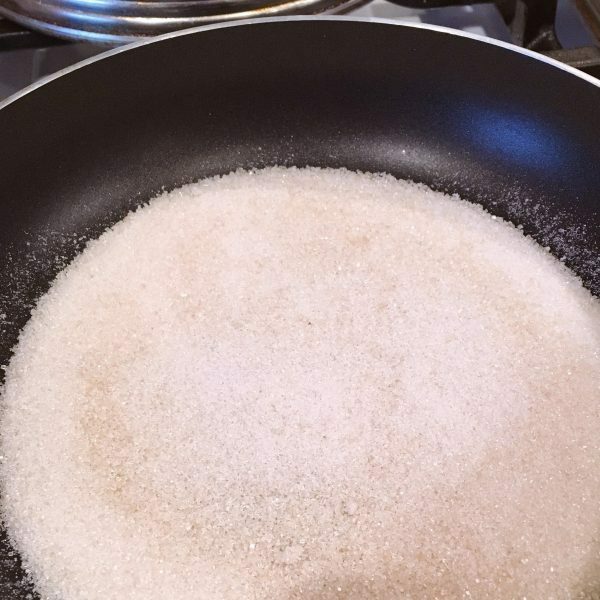 In a 8 inch non-stick skillet, over low heat add 1/2 cup of granulated sugar. 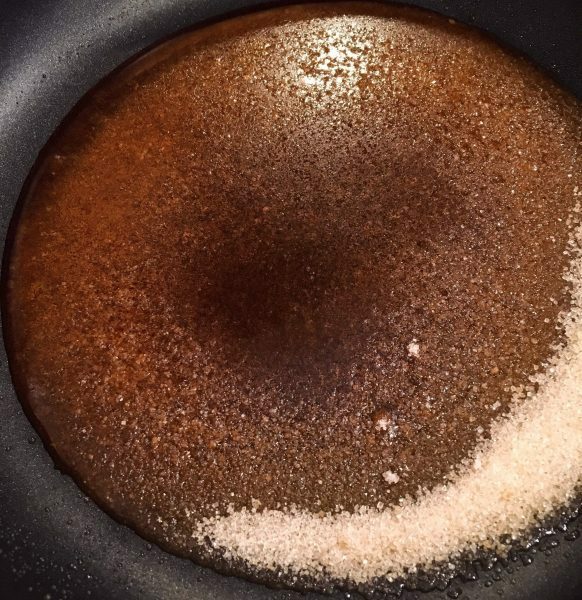 Shake skillet to distribute sugar evenly over bottom of skillet. 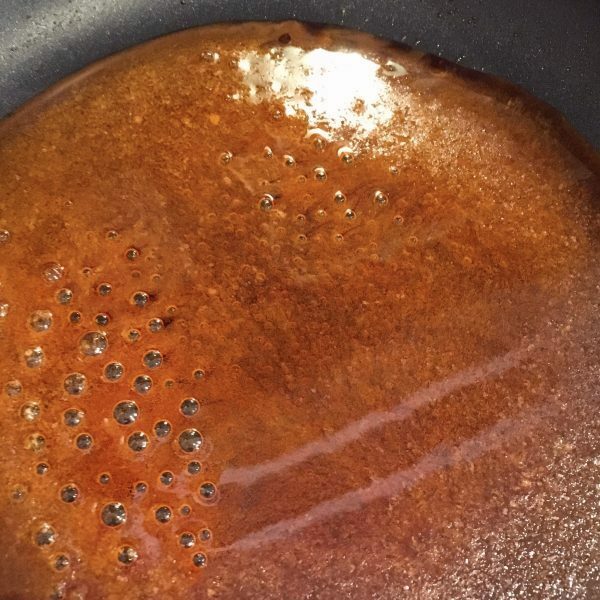 Watch sugar until it melts and turns a caramel color. DO NOT STIR! When sugar begins to boil, and most of the sugar has dissolved, remove from heat. Add pecan halves and stir quickly to coat. Place coated pecans on wax paper that has been coated with non-stick cooking spray. Allow to cool completely. Place candied pecans in a zip lock bag, using a rolling pin or meat tenderizer, pound nuts to break pecans into bite size pieces. 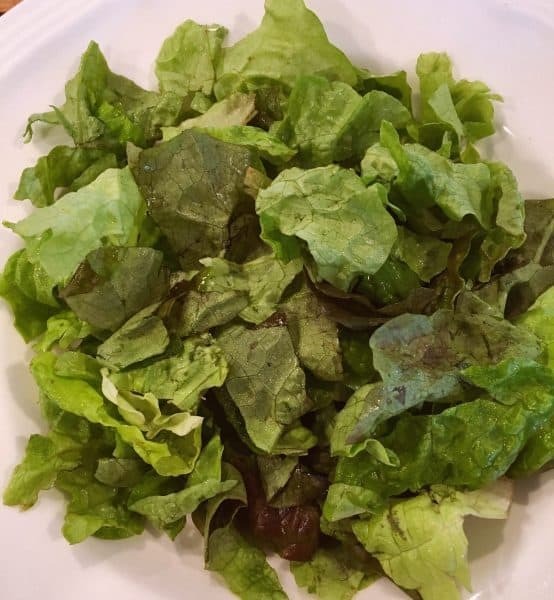 Place washed and prepared lettuce into a bowl, or plate for single serving size. 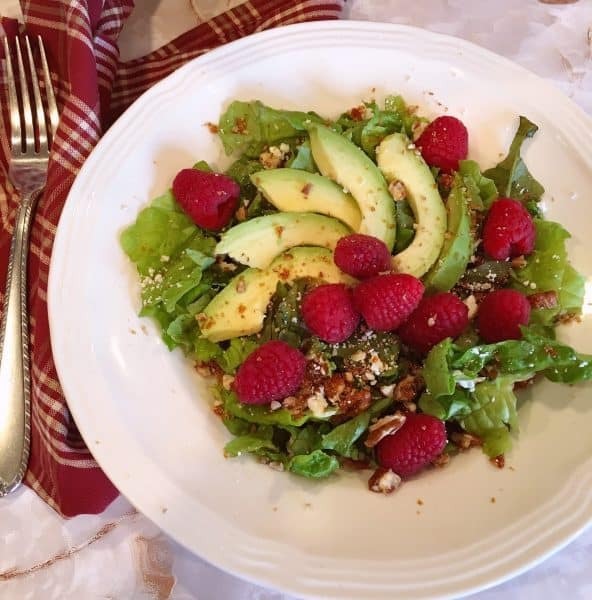 Top with crumbled feta cheese, candied pecans, sliced avocado, and washed prepared raspberries. In a small bowl mix together all the vinaigrette ingredients with a wire whisk until completely combined. Drizzle over salad. Serve immediately. Extra "prep" time is to allow candied pecans to cool completely. Well, this looks divine! Thanks especially for the raspberry dressing recipe. 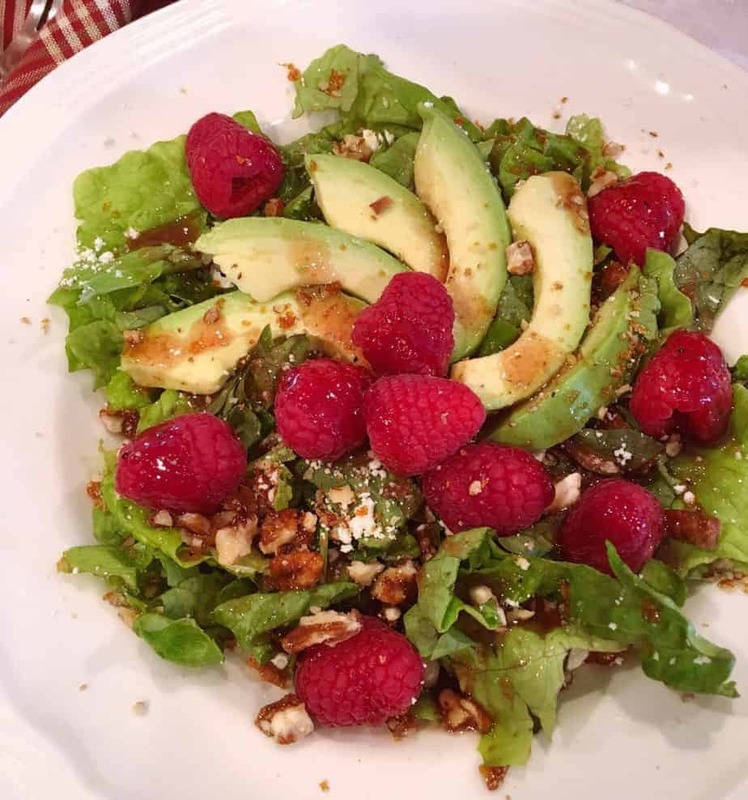 Here, we usually just have Ken’s Raspberry Walnut Vinaigrette, but it’s a “lite” dressing. Yours sounds so much better. 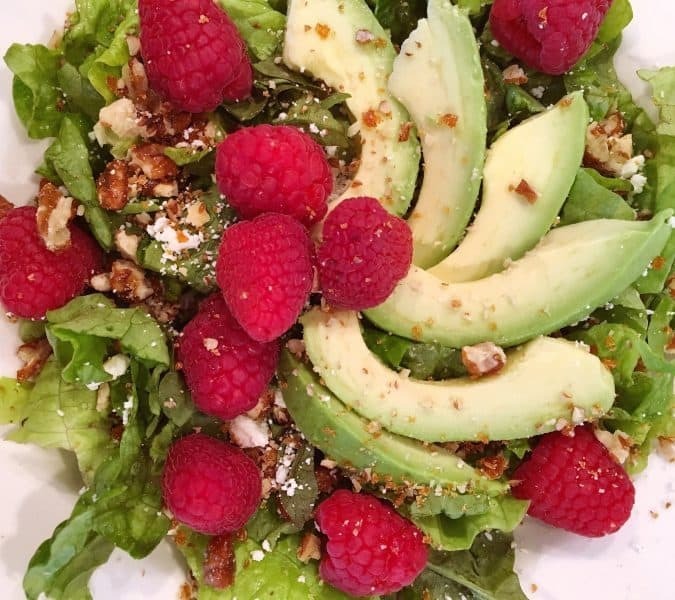 I love the idea of raspberries and avocado together, too. When I make candied pecans, I usually stir the pecans in the sugar a little while to toast them. You will get some grainy-ness to the pecans from unmelted sugar, but the dressing melts it. 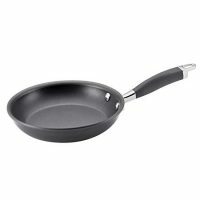 If you have to use a non-stick pan, just put some water in the pan and bring to a boil. It quickly melts the sugar off the pan and any utensils used in the process. Thank you so much! I do love this salad and the dressing is SO yummy! Although I will admit “Ken’s” makes a mean dressing too. 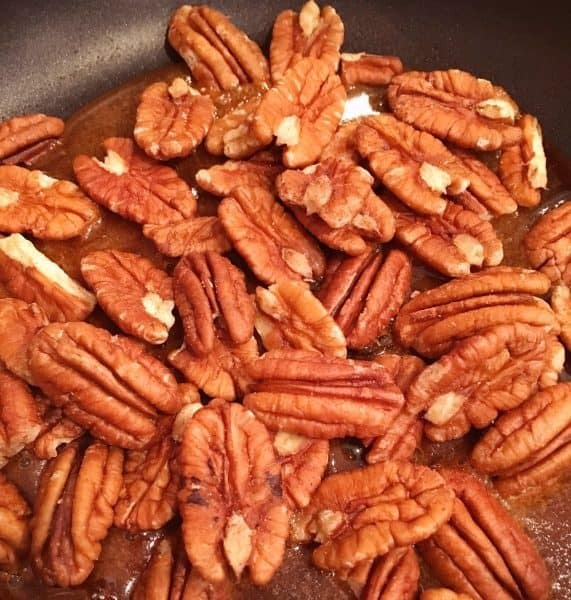 Thanks for sharing your tips on how you make your candied pecans. I’ve done them both ways and I agree you do get a “toastier” (is that word? lol) flavor when doing it the way you mentioned. I just love the extra “crunch” I get when I caramelize the sugar. (My dentist may not recommend it. lol) I suppose I could toast the pecans first and then coat them after I’ve melted the sugar? Something to think about! Thanks so much for stopping by and visiting with me. I love when others share their tips and tricks with me. It’s how we all learn and grow in the kitchen! Have a GREAT week! Hope you’ll give this salad a try…it’s really yummy! Wow, does this salad look good. I love raspberries. Thank you for sharing. Found you at Foodie Friday. Thanks so much! I love raspberries too. They are my favorite! I’m so glad you found me on Foodie Friday! 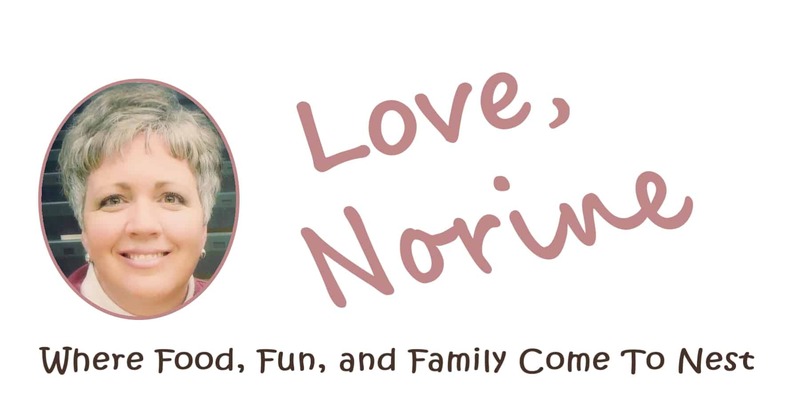 I love being apart of her Link Party every week. So much fun! Have a GREAT weekend! Thanks for stopping by and sharing with me!